The double GTA$ bonus also extends to the Elite Challenges for the Humane Labs Raid, so don't forget to Crew up and focus your efforts on completing the finale in 11:00 flat, not damaging your vehicles and making sure everyone gets out alive. As with last weekend's Prison Break Heist bonuses, Rockstar is also ramping up the RP on select GTA Online Activities and Challenges, aiding you in ranking up while practicing the skills necessary to beat GTA Online's trickiest team challenges. Finally, each day this week there'll be an additional incentive to make sure you maximize every day of this limited-time offer. Don't miss out on the opportunity to pick up top notch gear for rock bottom prices, and even more Double GTA$ in Adversary Modes. Keep an eye out on Rockstar's Twitter, Facebook, and Instagram for more details. 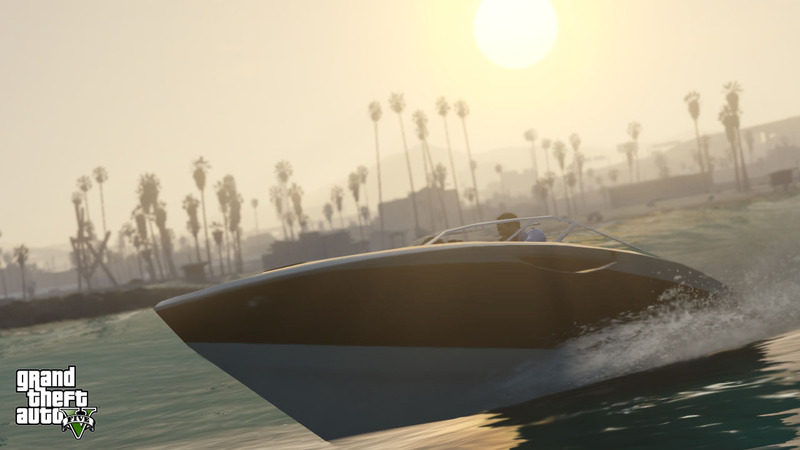 Have fun and Crew-up in the forums! 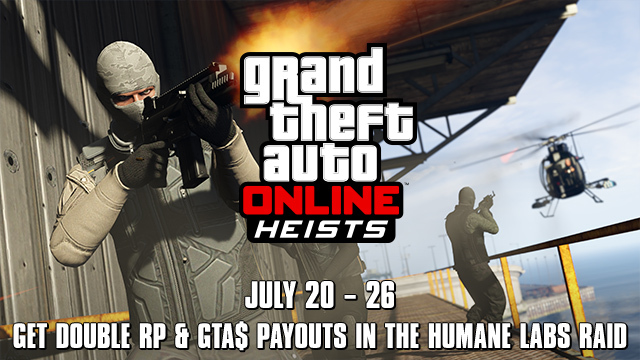 Humane Labs Heist Double Score Week - Because the Prison Break weekend wasn't good enough, now enjoy a whole week of bonus GTA$ and RP with the Humane Labs Raid.